We take website push notifications to a whole new level. Better Design for Subscription prompt. Better Design for better result. Advance analytics for better insights. Talk to users on personal level. 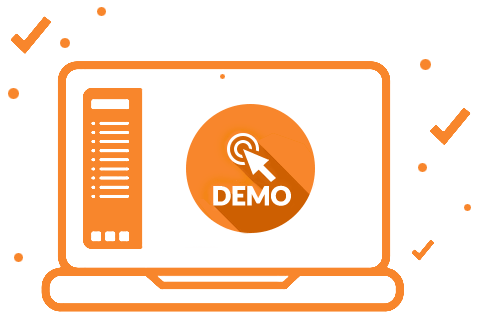 Automate process to save time. Send push with users location boundries. Subscribe and send push on AMP pages. 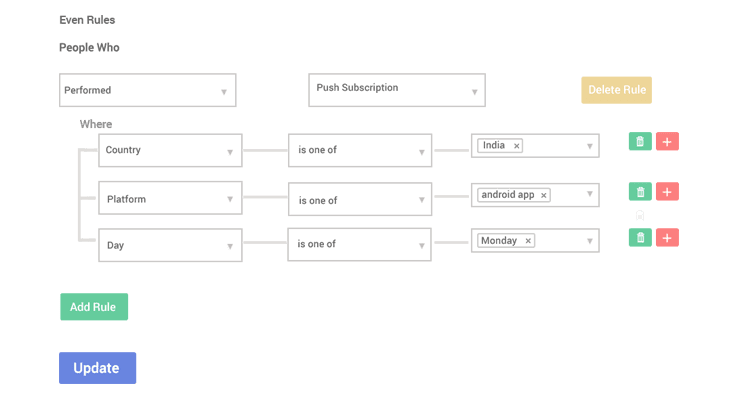 Understand your user journey flow and segment them on the basis of their action. Target right users with the right messaging. Segment users by their website activity, recency and frequency. Powerful filters to segment users by their demographics. Track users by their country, state and city. Categorise desktop and mobile users distinctly. Use combination of all these filters to zero down on your target audience. Create your subscription promt with your sustom text,logo,icons etc. Convert maximum visitors into subscribers. Ask users to subscribe by using Customize templates of permission promt with your logo, colors. Setup a welcome notification and send it to users who subscribed to your website. Time your subscription prompt - add delay, exclude page, setup up action based trigger and more. Design notifications that inspire action and delight your users. Add beautiful pixels to your notifications with banner size images. Use icons and emojis to spike user interest. Drive user action by adding up to 2 Call To Action Buttons with icons. Send push to your users in their native language. Drive Shares, Tweets , even calls to your call center. 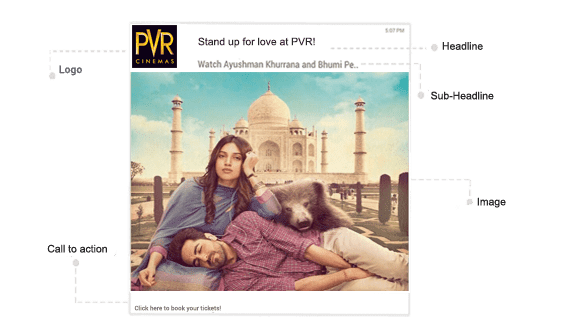 Get detailed analytics, performance reports and click through rate for each Push ​Notification.Deep insights of subscribers and unsubscribers to construct better campaigns. Export complete reports anytime. Talk to your Web users on a more personal level through Personalized Push. Use profile data and user actions to create personalised messages for every user. Push notifications have been known to increase your users engagement, but sending personalised push can increase CTR by 4x. 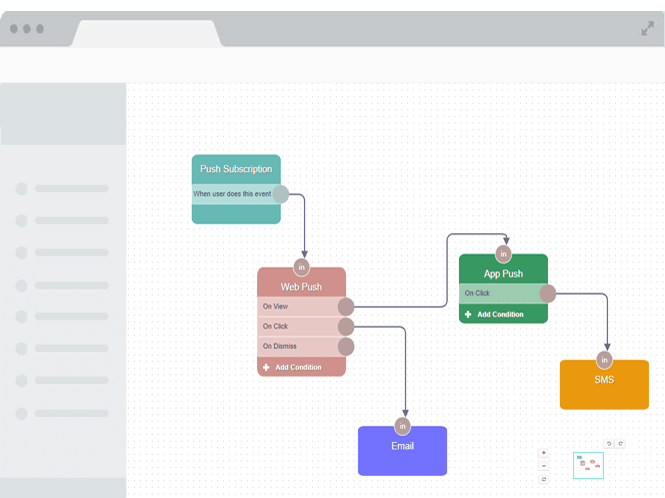 Send Targeted push notification through Journey Builder. 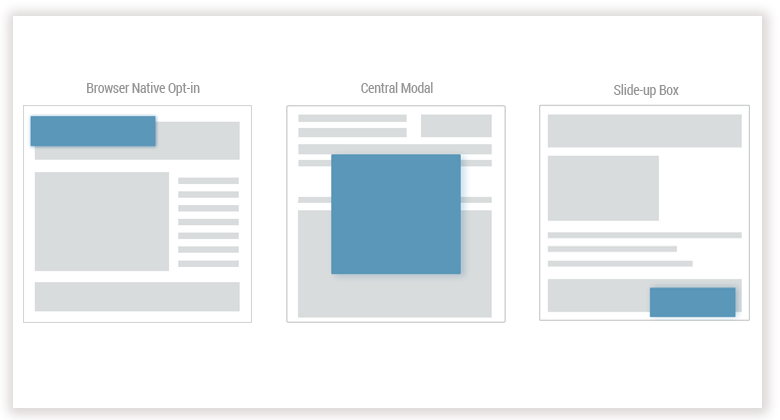 Make user Journey through simply drag and drop editor. Create Journey on the basis of customers's action on your website that acquire, engage and retain customers, visually. 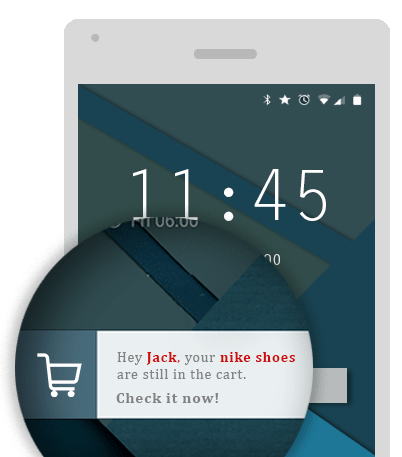 Chosse what to do when customers dismiss or click your push Notification. 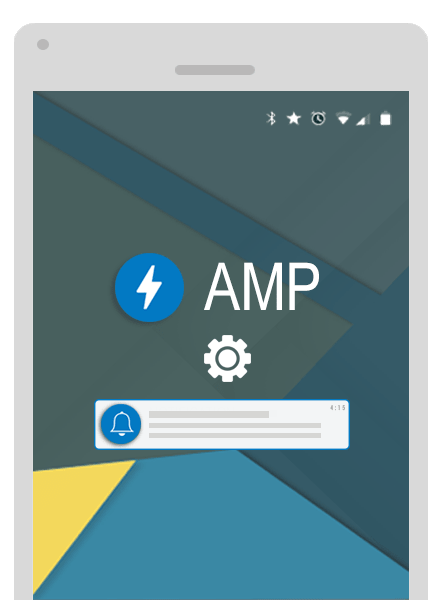 NotifyVisitors now supports Web Push on AMP sites means your users can subscribes to push notification on your AMP pages and you can send them push notification any time. Optimize better by track delivery, impressions, views, clicks of notifications. Improve subscription by track users who are unsubscribing from your notifications. Easy to implement APIs for developers. Send notifications as per your subscriber’s time zone.